This story takes place after the "happily ever after" of Snow White. She met Prince Charming, got married had a baby and then Charming died. 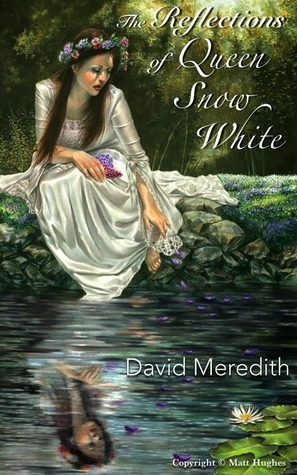 Snow White is left alone to grieve the loss of her dear husband and plan a wedding for her daughter. To say she wasn't really all in with the wedding planning is an understatement. She stumbles upon the room of her stepmother, with the mirror that shows more than just your reflections. I thought this was a nice novella. The story moved at a nice pace and it wasn't that difficult to get into. David Meredith has a great style of writing that was easy to like. I liked that this book touched on a subject that's tough to read sometimes, grief. I felt bad for Snow White because I couldn't imagine that happening. I usually don't like retellings of fairy tales probably because it's done so much now but I did like this one.